Denver is known for its hospitality and friendliness both of which you will find at The Queen. We are located within walking distance of several retail and dining outlets with several options for cultural diversity. Also offering a rich history and plenty to do our community has attractions for young old and everything in-between. Built in 1879 and 1886 the Queen Anne was originally occupied by the Tabor family. 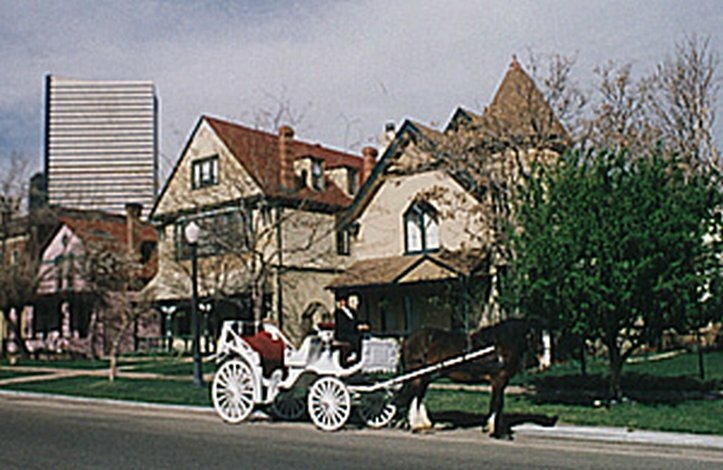 The doors were opened to the public in 1987 when the Queen Anne became the first urban bed and breakfast in Denver. Conveniently located within minutes from downtown we manage to keep a calm and peaceful environment as the city springs into high rises around us. Benedict Fountain Park is located directly across the street from the BnB creating an open natural space. Both the Queen Anne and the park form an oasis of peace in the middle of a rapidly developing and happening city.The comfort of our guests and support of our community are our top priorities. We are actively aiming to become a zero-waste property in which everything is recycled re-used or composted to reduce our impact on our environment. The Queen Anne experience refreshes the spirit instills well-being satisfies our guests and supports the Denver community. Check-in is at 4 00 PM. Guests planning to arrive before or after this time must contact the property at least 48 hours prior to arrival to receive special check-in instructions. As a bed and breakfast property the Front Desk hours will vary guests should contact the property to find out more information. To contact the property use the number on the reservation confirmation received after booking.